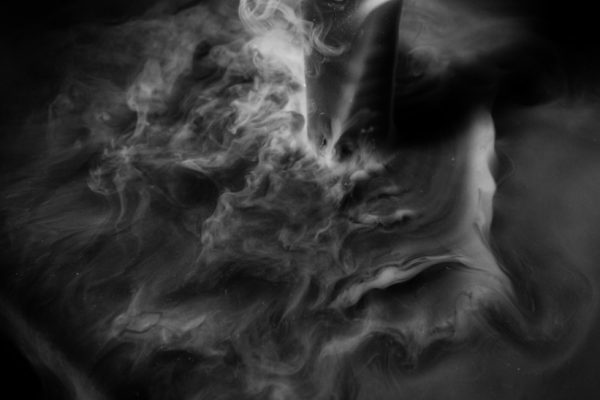 Cold fog spilling over black velvet illustrates a relaminarizing wall jet. 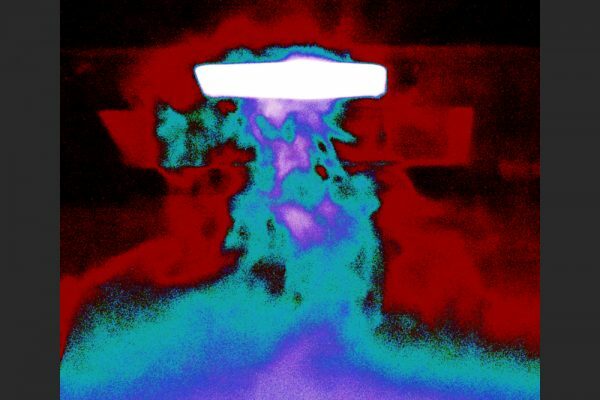 Steam rising above a pot of boiling water, post-processed with false color. The white bar is the light above the stove. 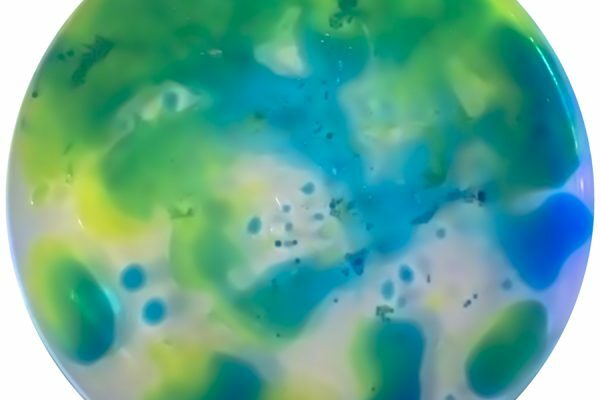 Canola oil in a dish, squirted with colored Mio drops, a caffeine/vitamin mixture, illustrates immiscible fluids. 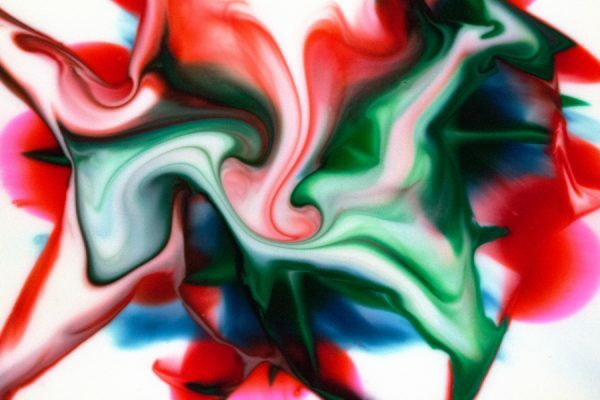 Food dye in milk, driven by a drop of soap in a Marangoni flow, color-reversed. 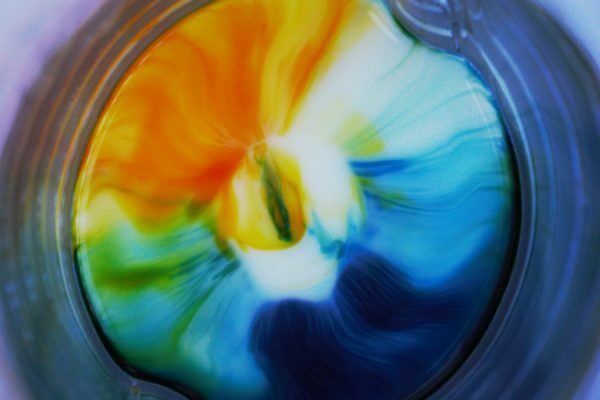 Food dye in milk shows Marangoni driven flow when drops of soap are applied. 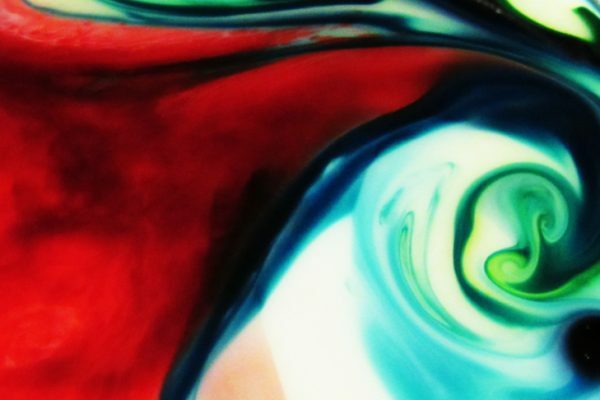 A touch of dish soap changes the surface tension of milk, moving food dye on the surface in a Marangoni flow. Water gel beads (hydrophilic polymer) soaked in food dye are placed in milk. 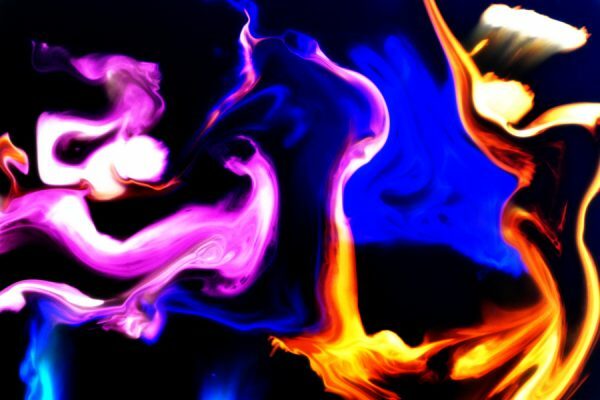 Flow is induced by soap (Marangoni flow) and by direct manipulation. 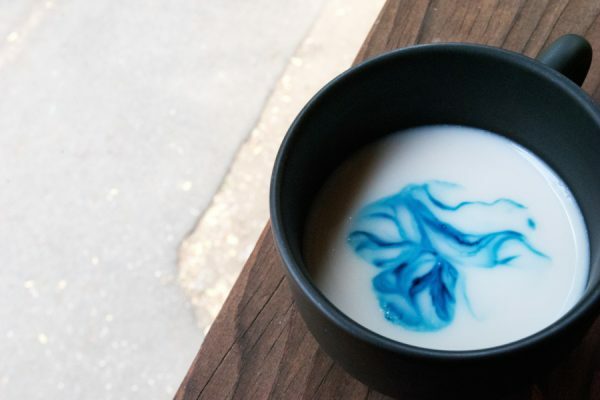 Blue food dye in almond milk shows effects of surface tension and mixing. 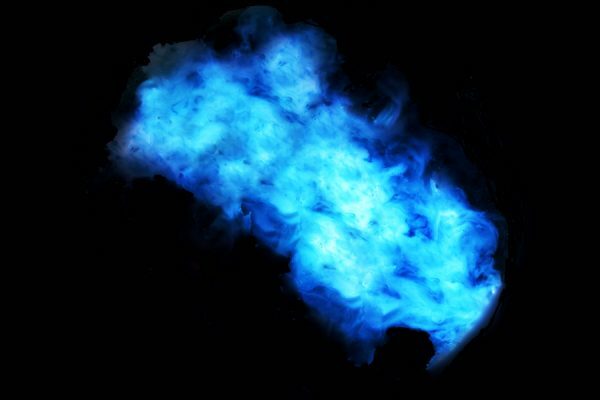 A drop of dish soap into dyed milk results in Marangoni flow. 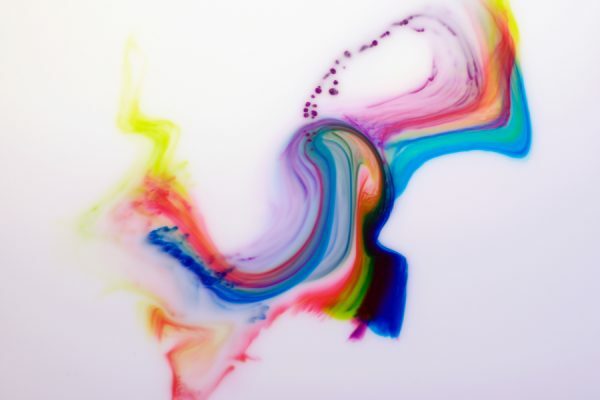 Milk poured into liquid detergent exhibits Marangoni flow as it mixes.